You’ve probably noticed things have been rather quiet for the last couple weeks here at The CAD Geek. My reason for the silence is simple – vacation. This year I returned once again to the Outer Banks of North Carolina, and had a most wonderful time. 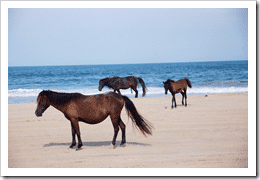 Among the highlights of this year’s trip was a tour to see the Corolla Wild Horses. 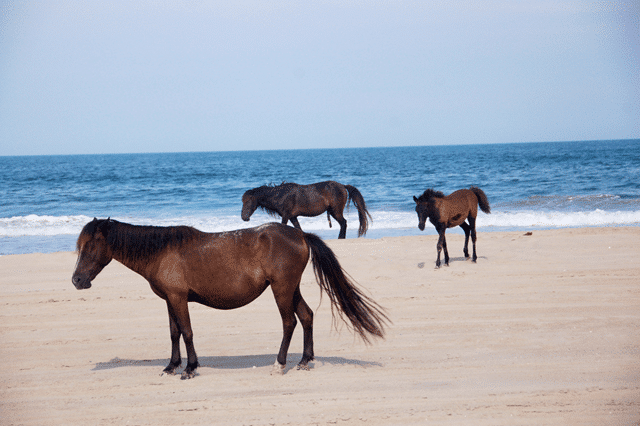 Seeing the wild Spanish Mustangs which roam the beaches of Corolla was quite a sight to behold. But like all great vacations – they come to an end all too quickly. It goes without saying that I ended up neglecting my blog during vacation but alas – I’m back. Since I haven’t necessarily had a chance to prepare a substantial blog entry I figured I’d share some of what I have been reading since my return from vacation. Standardizing Your Company – Part 3: Start at the Top (Eric Chappell @ civil3d.com) – Part 3 in a series of posts talking about how to successfully standardize your company. A word cloud resume? (Robin Capper @ RobiNZ CAD Blog) – A fun little discovery that creates a word cloud of a web page. Major geekiness here! Autodesk Design Review 2009 SP Update (Volker Joseph @ Beyond the Paper) – A service pack for Design Review has been released. Autodesk and Bentley Systems on Interoperability in AEC (Shaan Hurley @ Between The Lines) – Pretty substantial announcement between 2 of the CAD industry leaders. Google Releases 3D World Lively (Google Blogoscoped) – Google launches a new 3D chat program/interface. Five Best Windows Maintenance Tools (Adam Pash @ Lifehacker) – 5 intriguing downloads to keep your machine running on all cylinders. well, But as I found interesting people to follow and got the hang of it, … I always feel like I have to polish my blog posts and it seems to take me at least an!